Tim, along with many generations of his family, is a Lancaster County native. His family moved to the mountains of Tioga County and owned and operated their own dairy farm, for most of his childhood and teenage years. After graduation from Liberty High School, his family returned to Lancaster County and Tim worked as a painter and sandblaster for I.K. Stoltzfus Service Corp. in Greenfleld Corp. Center. He worked his way up in the company to Sales Manager, where he sharpened his business skills in marketing and customer service. 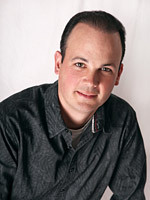 In 1998, Tim bought his first car wash, The Wishy Washy Car Wash in Lititz, PA. This self-service, coin-operated facility gave Tim a chance to learn the quality, chemical, maintenance, and service aspects of the car wash industry. Tim began researching the safety, effectiveness, and growing popularity of automatic car washes and the demand for "quick lube" maintenance services at many of these facilities. In 2000, Tim resigned his full-time position at I.K. Stoltzfus, and construction began to convert The Wishy Washy to a full service automatic car wash and Pennzoil Express Lube Center. 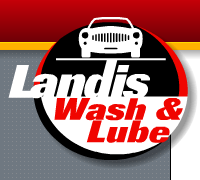 Landis Wash and Lube opened for business in June 2000. Ami was raised in the mountains of North Central Pennsylvania, where her father owned and operated a manufacturing company. She has seen firsthand, from a young age, the aspects and demands of business ownership. Upon graduation from Mansfield High School, Ami moved to Lancaster County and earned her bachelor's and master's degrees in Clinical Psychology from Millersville University. 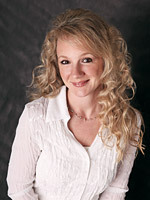 She has worked in both hospital and private practice settings. While she intends to pursue a doctoral degree in the future, she has decided to take this time to assist her husband, Tim, in operating Landis Wash and Lube. She finds that her skills and training in human relationships and communication help her in the marketing and customer service aspects of business ownership. They also come in handy while raising their 2 children.